Facebook has over two billion (yes, billion!) users. Online dating is a 2 billion (yes, billion again!) dollar industry. Most dating apps (Tinder, Bumble, Hinge, etc.) use Facebook to pull users’ information into the app. What does all this mean for those who currently use, or may want to use, online dating sites? On the plus side, with Facebook entering the online dating scene, any lingering stigma that was left about online dating (which isn’t much these days) will likely disappear completely. When a company as ubiquitous as Facebook does anything, the world takes notice, and it becomes mainstream. For example, people didn’t say, “I’ll ‘friend’ you” or “status update” (at least in the context we know now) before the existence of Facebook. The company has the Midas touch. 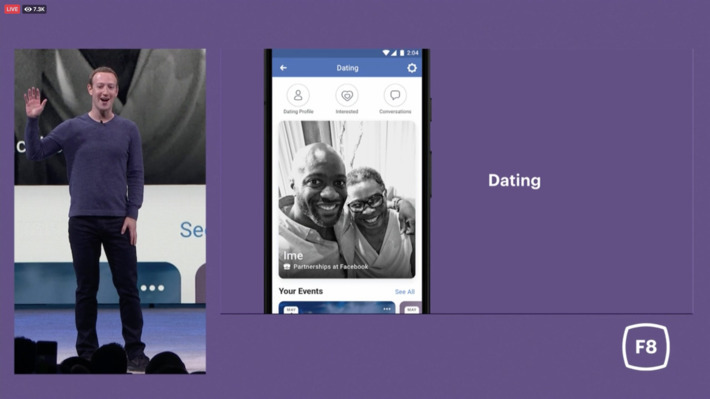 Facebook’s introduction into dating may also break the age barrier that I often see. Many of my clients of baby boomer age are hesitant to use apps like Tinder or Bumble that you primarily, or only, use on your smartphone. They gravitate toward sites where you can write more prose, like Match.com or eHarmony. But, since people of all ages use Facebook daily (my mom is 70 and is always the first one to like my pictures! ), there may be some implied trust—the recent data breach aside—in Facebook as a dating medium since it’s already a familiar, known entity. On the negative side, with Facebook entering an already saturated online dating market, it may cause people to get more online dating fatigue than before, leading them to quit all online dating sites. Also, with so many options, the Paradox of Choice comes into play. As author Barry Schwartz argues, adding options can greatly increase consumers’ anxiety, and with too many options, people are less satisfied with their ultimate choice. Have you heard your friends complain about going on a great online date only to see this person back on the dating site within 20 minutes of saying goodnight? Yep, that’s the Paradox of Choice. People think that more is better, or that the grass is always greener. Is it? That’s for you to decide. Like Tinder-esque dating apps, which make it so easy to create a profile (an often-mediocre one, which is what I’m here for), if Facebook makes the barrier to entry so simple, it may very well put sites like OkCupid, Match.com, and Plenty of Fish (all owned by The Match Group, in addition to Tinder, for what it’s worth) on the path to extinction. Gone may be the days of writing long-winded profiles and logging into sites on a laptop. I hope not, because my clients (and I) do prefer to see more information about someone before a date, but it’s a distinct possibility. Only time will tell to see how Facebook’s new foray into online dating will play out. If you have thoughts or question on this, or any, dating matter, please feel free to comment below or email date411@alittlenudge.com. I don’t have a relationship status on my Facebook profile but O wonder if that now wouldn’t be a bad idea. We shall see.